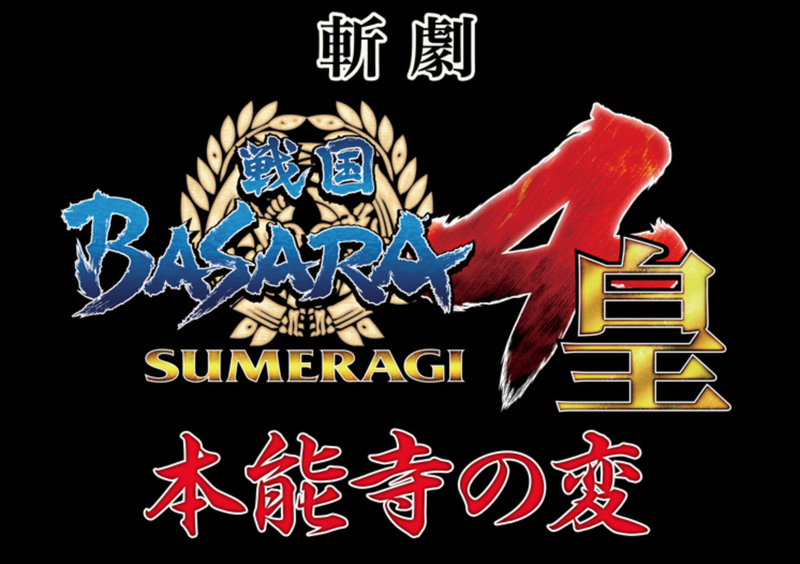 In between closing the current stage play's run and posting cute pictures on Twitter, the Butai Sengoku Basara team found time to announce the newest stage play as Butai Sengoku Basara 4 Sumeragi drew to a close. 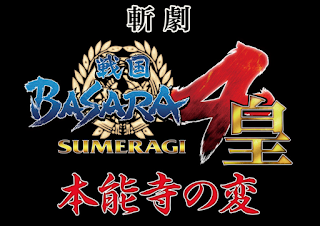 The next entry in the series will be titled Zangeki Sengoku Basara 4 Sumeragi: Honnouji No Hen ('Swordplay Sengoku Basara 4 Sumeragi: Incident At Honnouji'). Interestingly, they've changed the 'Butai' ('Stage') in the official title to 'Zangeki' which usually means a slashing attack, except the second character uses a different character meaning 'play'. I'm struggling to find a concise way to write that in English without ending up with something inadvertently invoking another meaning of the English word 'slash', so please forgive my inelegant attempt at a translation which approximates the deliberate double meaning of the original. I'll call it Zangeki Sengoku Basara for short. It's being reported that the new title indicates that there will be a deeper focus on the combat scenes from now on and the staff are going to try to make even more adventurous fights. Social media reactions have been mostly positive so far. 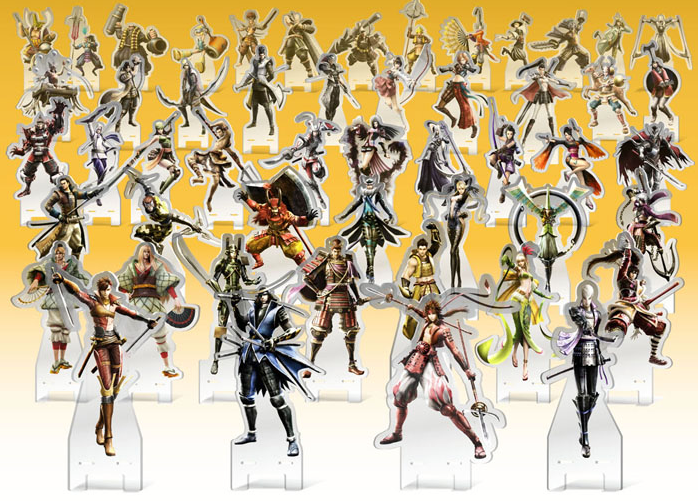 We already know the Sengoku Basara version(s) of the Honnouji story pretty well at this point. There's a video on the official site (all of the actual footage is from the previous play). The new play will be performed eighteen times in total across two venues: at the Zepp Blue Theater Roppongi in Tokyo (1st July - 10th July 2016) and at the Umeda Arts Theater's Theater DramaCity hall in Osaka (16th July - 18th July 2016). Cast and ticketing information will be revealed at a later date. The special smartphone lock screen images based on the winning game can be downloaded here. The third survey is now available too in the usual place. This time, the team wants to know which game's story interested you the most. Click the gold-coloured button underneath the picture of the game with your favourite storyline and then click OK to register your vote! The voting will end at noon on 29th February 2016. They should really replace the HD Collection with Sumeragi in the options; it's just way too confusing this way! It's only a month away now but the announcements are still coming! Okiayu Ryoutarou (Toyotomi Hideyoshi) is the latest seiyuu guest confirmed for the Sengoku Basara 10th Anniversary Matsuri ~Feast of Ten Years, Ten Shades~ event, which he will be attending on Sunday 6th March 2016. The guest list is looking quite impressive by now. If two days of Basara Matsuri aren't enough, fans who happen to belong to the official fan club can look forward to two additional 90-minute gatherings on Saturday 28th May 2016. The Basara Club Fan Meeting 2016 Spring will take place in Tokyo's Nissho Hall and a number of special guests have been confirmed. I bet they'll be revealing a few details about the new game at these fan meetings! 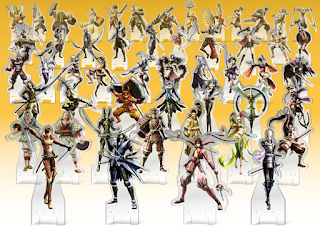 Remember the 51 different mobile phone stands which e-Capcom was accepting reservations for a little while ago? It's since been decided that all 51 designs will be made available after all, rather than only the options which receive enough preorders. 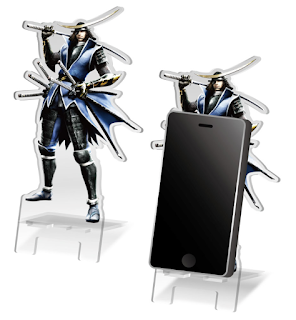 The Sengoku Basara 10th Bushou Ransen Mobile Stands are exclusive to e-Capcom and cost ¥2,500 (¥2,700 with tax) apiece. Delivery is expected to take place on 14th April 2016. Preorders need to be placed by the end of February, and as e-Capcom doesn't accept foreign orders (or foreign credit cards) it's likely that fans outside Japan will need to use a deputy service to make a purchase. Perhaps the biggest news of all though over the last couple of weeks is the single tweet on the official Sengoku Basara account which reveals that an official Chinese language edition of Sengoku Basara: Sanada Yukimura-den is on the way this summer. The games have been distributed across the Asian region for a while but they have been left in their original language, which is obviously not terrifically convenient for the majority of players even if the prices tend to be lower than importing the Japanese editions. The same tweet also urges fans to keep looking out for news about further 'worldwide' plans for the series. I don't want to get my hopes up, but if they do manage to try expanding internationally again I'll certainly be doing my best to support the Sengoku Basara team! It will be realy weird to have new actor, I liked the old one...But basara is always awesome! The stand are realy nice, I would have love to buy one, but its complicated. I hope they can release more merchandise through normal stores soon, all of these complicated special orders and exclusives are difficult (and expensive) to obtain! It's true that Yukimura-den is currently listed as a single player game. It will be weird not being able to play cooperatively with my friends... but so long as they support it well, I'm sure it will still be fun to play together and take turns. I'm going crazy waiting for more news. Every week I rush to check the Japanese magazines and then get disappointed to find there's nothing about the series in that issue (lol). Soon!